Bobbi Collins is a caring and devoted kindergarten teacher who had her world turned upside down when her fiancé died after a lover’s quarrel. Five years later, she still struggles with acceptance. Her role as an educator fills up her week, but on weekends, she longs for something more. When she stumbles across a newspaper ad for a psychic fair in the historic town of Cape May, New Jersey, it seems like the answer. Bobbi is determined to revive her once vibrant life. Kevin Carlton a successful realtor is tired of the dating game. He doesn’t remember buying a raffle ticket, but when his co-worker announces he holds the winning number, he decides to take a chance and attend the all expense paid weekend in Cape May, at the Lady of the Sea’s Psychic Fair. He hopes to find a spiritualist who has the ability to contact his late father and prove he has become a man to be proud of. Sparks fly when Bobbi and Kevin run into one another at the fair. When strange happenings occur, Bobbi rushes into her ex-boyfriend’s arms. She never imagined having a weekend of magic, memories, and a chance to rekindle the flame with her lost love. 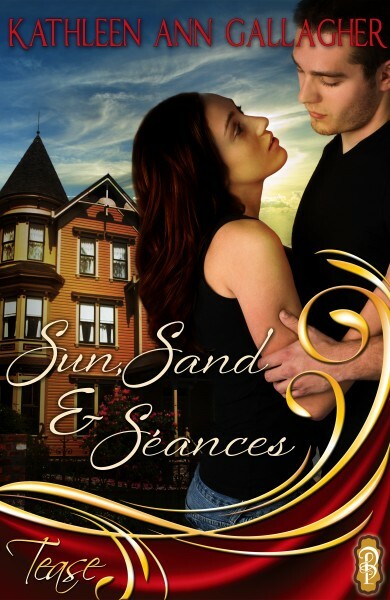 Can sun, sand, and séances cast a spell on their hearts and allow the reunited couple to find what they both desire, or will the spirits sabotage it all?